If you have a lonely gerbil and want to find them a friend – you cannot do this without split-caging them first. This is because gerbils are extremely territorial, and to get them to accept a friend you first have to get them accustomed to the scent and markings of the other gerbil. Adult Male Adult Male Moderate – split cage for at least a fortnight and watch carefully. Adult Male Male Pup Easy – observe carefully through a barrier first, direct introduction may be possible. Adult Male 2 male Pups Easy – observe carefully through a barrier first, direct introduction may be possible. Adult Female Adult Female Very Difficult – if you can, ensure females are a similar size. May take a long time. Adult Female Female Pup Not recommended – female gerbils are not keen on other pups. Try an adult female instead. 1 just-weaned pup 1 just-weaned pup Simple – unlikely to need any split-caging at all. Adult Male Adult Female Moderate – Split cage for at least at fortnight. Expect many, many pups. Ensure you have prospective homes before attempting this. 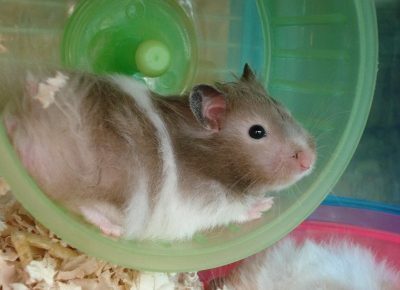 What Are the Differences Between Gerbils and Hamsters?